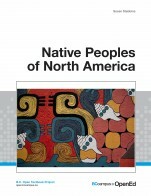 Native Peoples of North America is intended to be an introductory text about the Native peoples of North America (primarily the United States and Canada) presented from an anthropological perspective. As such, the text is organized around anthropological concepts such as language, kinship, marriage and family life, political and economic organization, food getting, spiritual and religious practices, and the arts. Prehistoric, historic and contemporary information is presented. Each chapter begins with an example from the oral tradition that reflects the theme of the chapter. Native Peoples of North America by Dr. Susan Stebbins, Open SUNY is licensed under a Creative Commons Attribution-NonCommercial-ShareAlike 4.0 International License, except where otherwise noted. Comprehensiveness: While there is a lot of good information in this text, it does not comprehensively cover the topic of Native Peoples of North America. More information is needed to give students and understanding of different regions and peoples of North America, as well as changes through time. The text discusses only selected peoples, often without sufficient contextual/background information to have a good understanding of where they are from, their history and culture. I feel that it would be challenging for students to contextualize the select discussions of different peoples effectively and to have a clear understanding of the diversity, territories, and cultural contexts of Indigenous peoples in North America from reading this textbook. The emphasis is more on anthropological concepts than on Indigenous peoples of North America. Glossary: The text highlights key terms in bold; however, the terms are not followed up with a glossary/definitions at the end of the chapter. The content is often overly generalized (inaccurate) and appears biased in some areas. An example of this is the author's discussion of the influence of European settlement in what is now western Canada (pg. 90). - The author claims that "because of the Europeans' dependence on trade, they did not interfere with Native culture to the extent that they did in other parts of the Americas" (pg. 90). She moves from the 1820s to 1990s within two paragraphs, and does not include much information about historical events and Indigenous-settler relations in between these time periods (for example, the impact of the Douglas Treaties on Vancouver Island, the Fraser River Gold Rush, the Tsilhqot'in War, the influence of smallpox and influenza epidemics on population dynamics, etc.). The oversimplification of this topic makes it inaccurate and could lead to misunderstanding about the region and its history. -Within the same section, the author claims that "because the Europeans did not like to trade with women", women's status within Indigenous societies was diminished (pg. 90). She concludes by saying that, "subsequently, the society became more traditionally European, with the status of women being lowered and one man being in charge" (pg. 90). The author does not support these arguments with examples, additional information, or references. The claims are not supported well and the author also applies them to the entire region of the northwest coast. Because of this, the claims read as biased, or at least very simplified and generalized. There are some small errors. For example, on pg. 80, the author misspells the names of 3 northwest coast peoples: the Nisga'a, the Gitksan (or Gitxsan), and the Kwakwaka'wakw (as "Niska", "Gitkan", and "Kwakwaka'waku"). On pg. 88, she misspells Kwakwaka'wakw as "Kwakwaka'waka". Given the topic of the book, it is important that the names be spelled correctly and consistently. The information and arguments are very general, and in that sense are likely to become obsolete. However, it is often unclear whose work the author is drawing from/referencing (so it is unclear if the sources are up to date). Where citations are included, some of the sources the author uses are outdated. For example, Jared Diamond's work is discussed at length in Chapter 3. His work is not considered up to date or credible by many anthropologists. The text is very accessible and easy to follow. There is often, but not always, enough context for the jargon/technical terminology used. However, it is not always clear why specific terms have been emphasized within the text (in bold), as they do not always seem essential/topical or include words in common usage (examples "sod", "withdrawing", "storytelling"). The bolded terms are often not contextualized within a cohesive group of related terms, or defined in a glossary. The terminology is not always consistent. 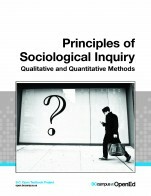 For example, the author uses the term "equalitarian" frequently, but occasionally uses the term "egalitarian" in the same way (anthropologists generally use the term egalitarian rather equalitarian). The author uses the terms "Native", "indigenous", and "aboriginal" interchangeably (intentionally, as she points out in the introduction). This could be confusing for students. The terms also can have very different connotations. For example, the term "aboriginal" has a very specific legal meaning and implications in Canada. It might be preferable to be consistent with the terminology. The framework for the book is not always consistent. The text is poorly structured and would be difficult to break into smaller sections for course readings. There are few subheadings within the chapters. The sequence of the paragraphs is not always logical or clear. The topics within the subsections are often unfocused. The topics in the text are not presented in a logical or clear fashion. 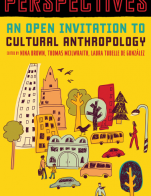 The information on specific peoples, anthropology, methods, critiques of anthropology, and the author's own perspectives, are all interspersed in a confusing manner within the text. The focus/goal of each chapter is not always clear. The paragraphs do not logically build upon one another. 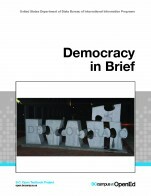 Overall, the ideas in the text are presented in an unclear manner. The maps/images on pages 11, 13, 15, 39, and 114 have very poor resolution and the text is not legible. The kinship charts on page 58 and 73 have poor resolution (text is barely legible). pg. 88 ""The Kwakwaka'waka, or Kwakiutls, of the Northwest coast of what is now British Columbia, is an example of societies found in the Northwest". - This should say that they "are an example of a society found in the Northwest", rather than "is". I think that some of the over-generalizations in the text could be offensive to some Indigenous people. The author often generalizes from one group to entire regions, or to Indigenous people as a whole. She also makes very broad statements, (such as the statement on page 90 about Indigenous women having diminished status within Indigenous societies due to trade with Europeans). 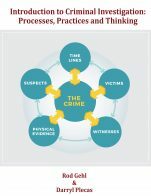 The text could be much improved by using more specific examples to illustrate the author's claims, and by offering more context, references and supporting information for broad claims. More Canadian context is needed. However, overall I would not feel comfortable assigning this book for a course. The information is too general, and the author does not support her arguments with enough information or references. The text is very poorly structured/organized. I feel that the book would be confusing for students in both anthropology and Indigenous studies courses for these reasons. concepts and areas of study. Index: There is no index. appears biased/inaccurate in some areas. Many of the arguments made in the text could use more supporting information, examples, and references. There are some errors, particularly with incorrect and inconsistent spelling for Indigenous nations' names (example: page 80). sense are not likely to become obsolete in a short period of time. Some of the sources are outdated or not strong/credible sources (example: discussion of Jared Diamond's work in Chapter 3). do not always seem essential/topical, or are in common usage (example "withdrawing", "storytelling"). In addition, the bolded terms are often not contextualized within a cohesive group of related terms, and are not defined in a glossary. author uses the terms "Native", "indigenous", and "aboriginal"
subsections are unfocused at times. perspectives, are all interspersed, which can make the text confusing at times. The focus/goal of each chapter is not always clear. The paragraphs do not always logically build upon one another. Many of the maps and images have poor resolution and illegible text (i.e., maps/images on pages 11, 13, 15, 39, and 114). The kinship charts on page 58 and 73 have poor resolution and the text is barely legible. The text is generally free of grammatical errors (with a couple of small exceptions). people as a whole. The text could be much improved by using more specific examples to illustrate the author's claims, and by offering more context, references and supporting information for broad claims. The book focuses primarily on the United States, without as much emphasis on Canada. The information provided in the text is often very general, and the arguments often lack sufficient supporting information and references. The organization and structure of the text could also be much improved.